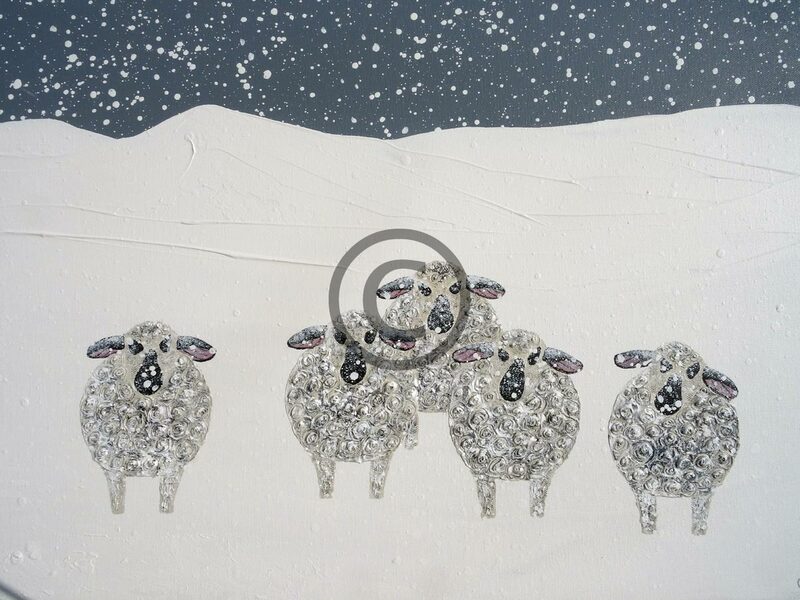 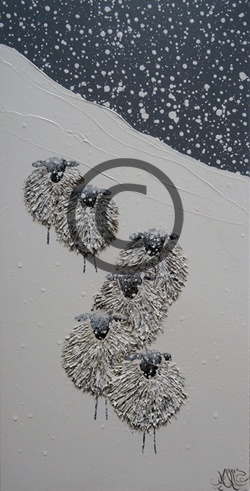 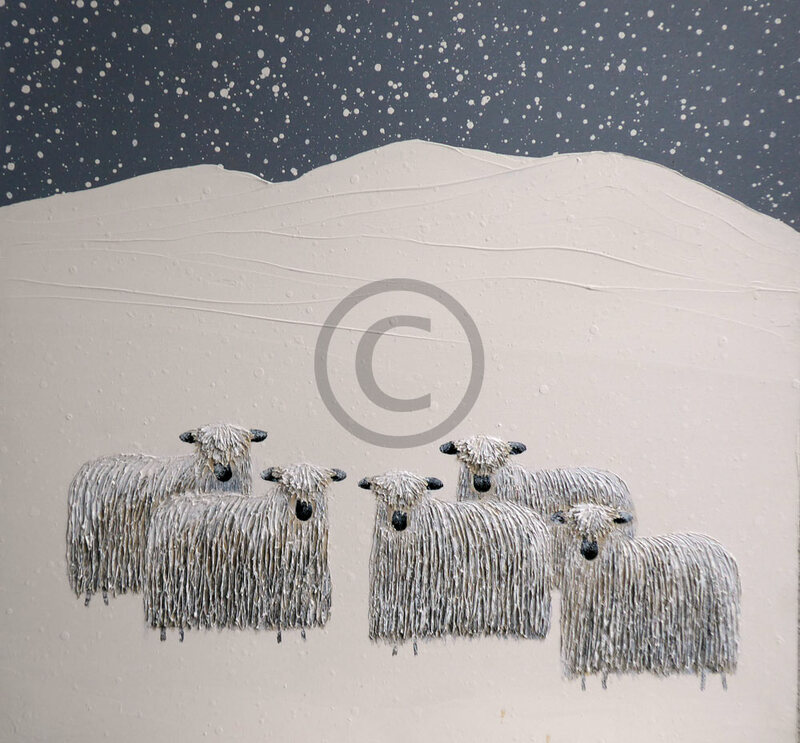 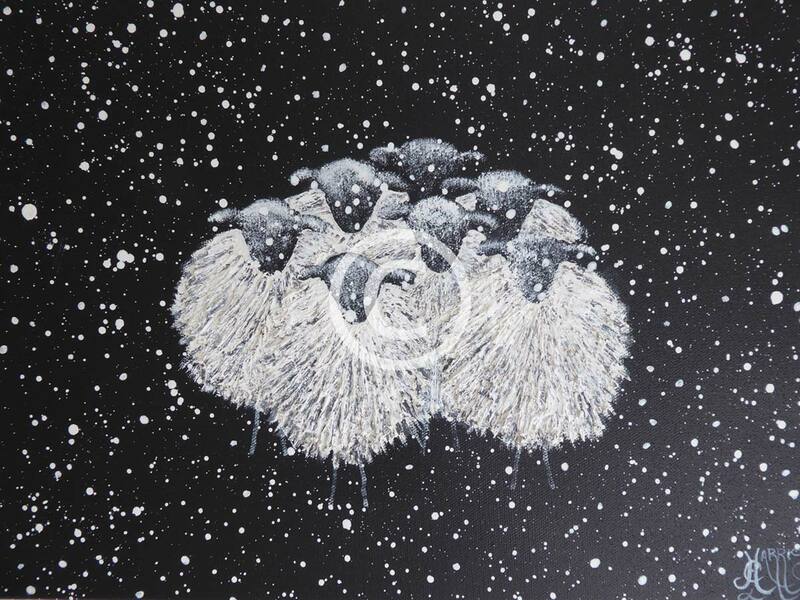 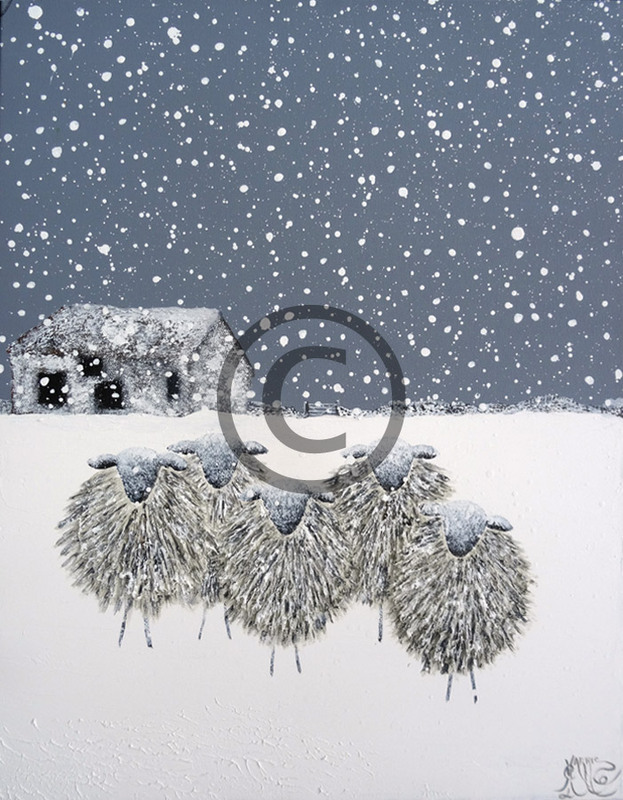 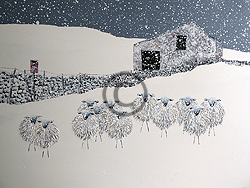 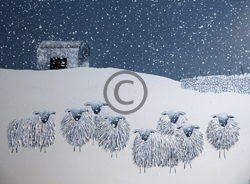 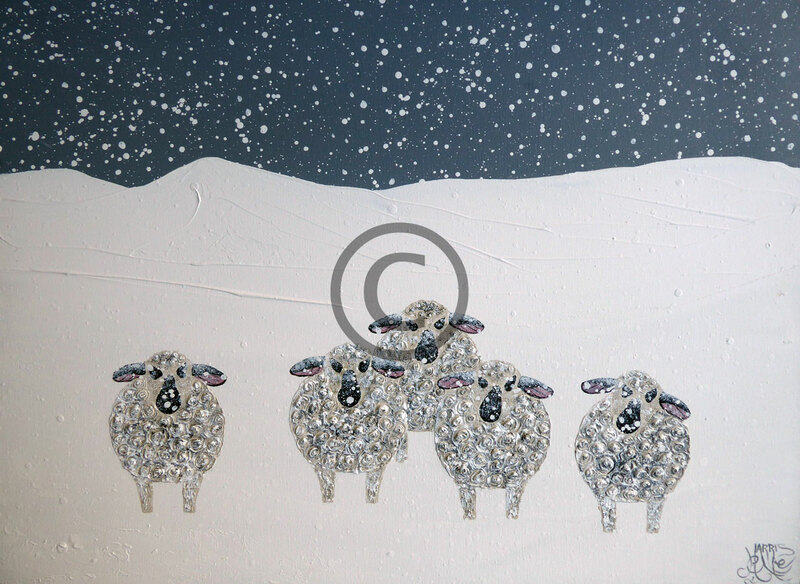 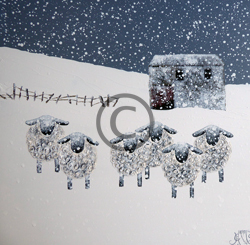 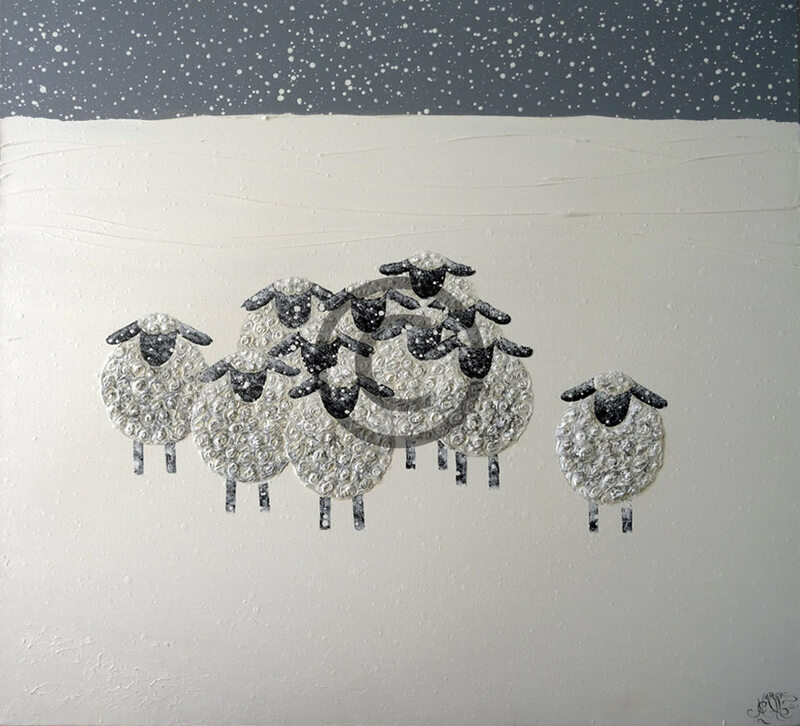 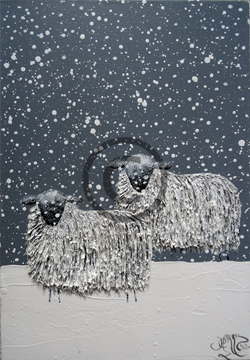 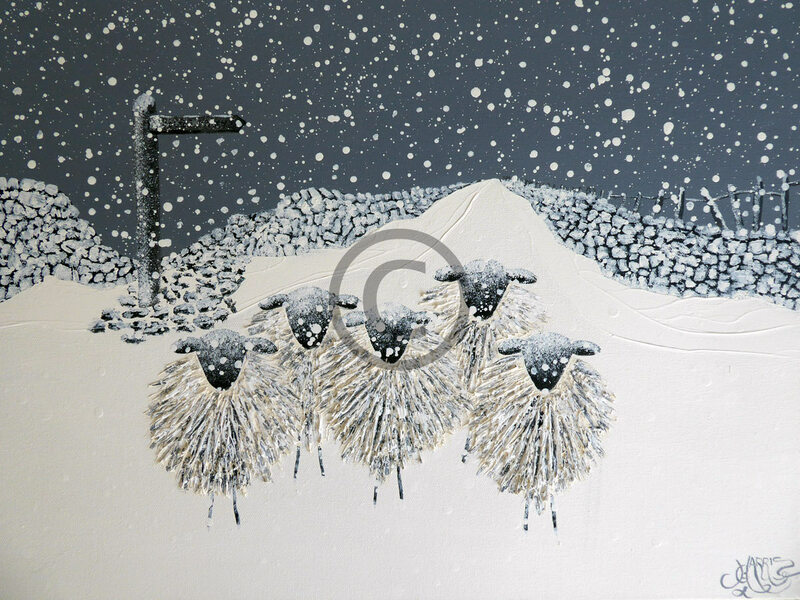 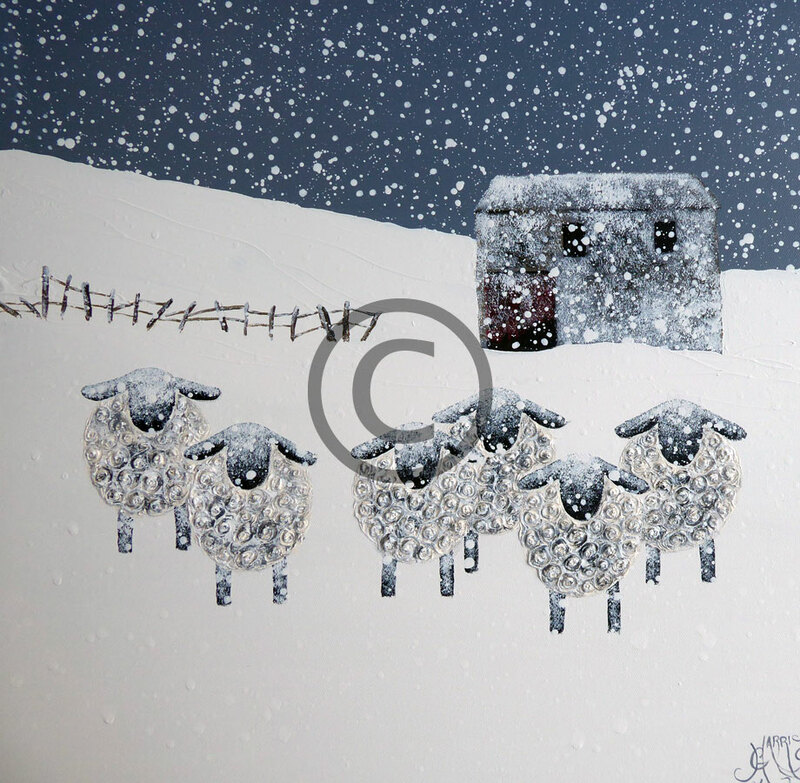 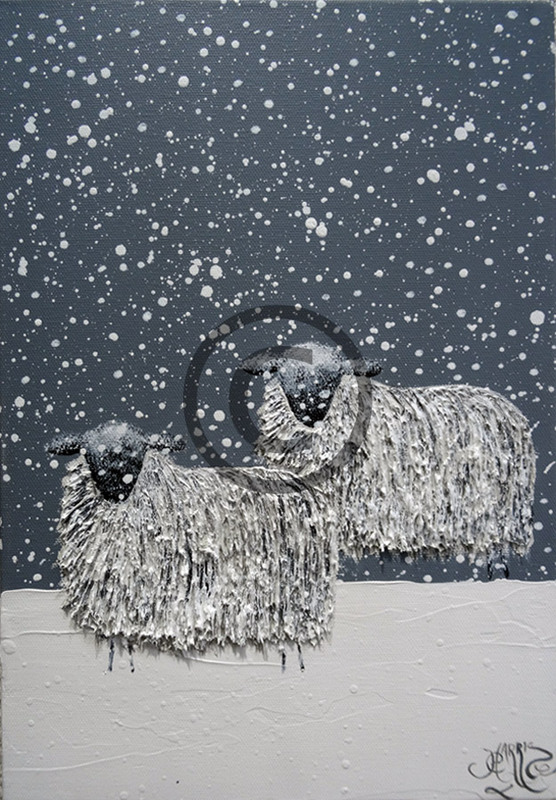 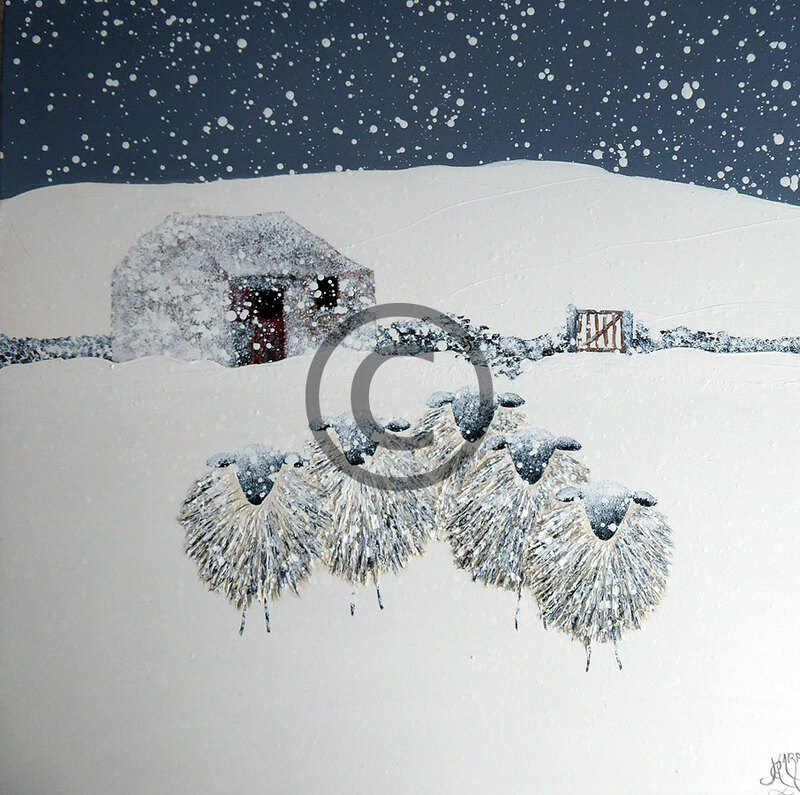 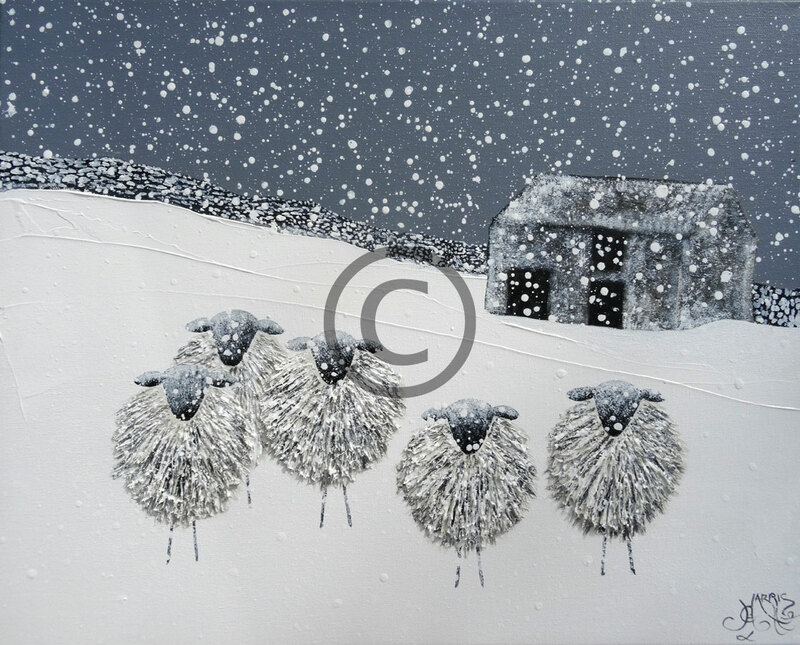 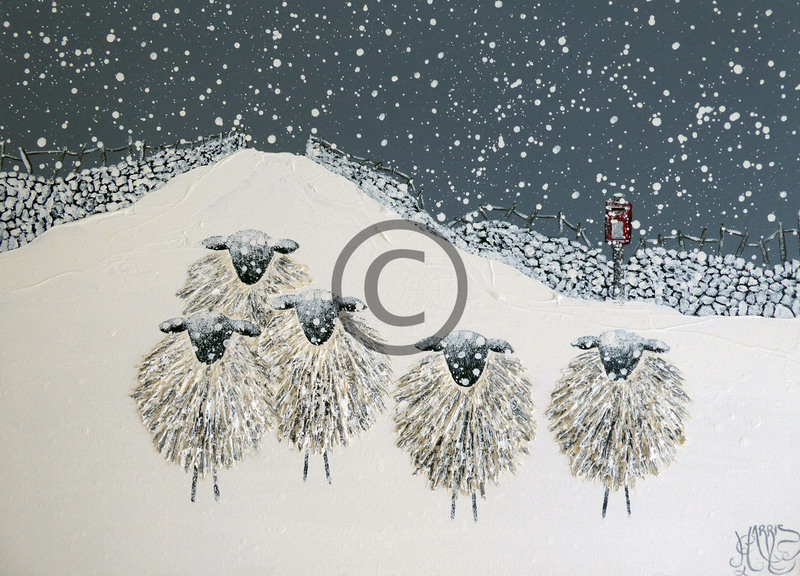 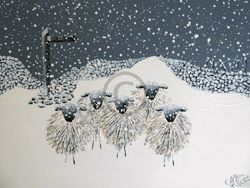 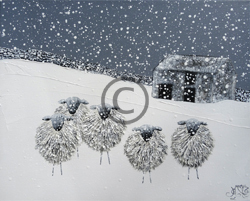 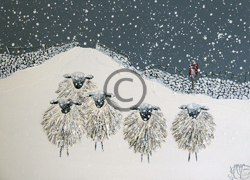 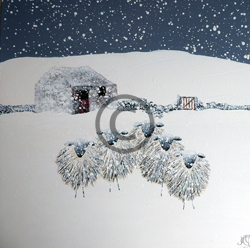 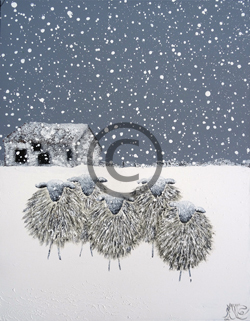 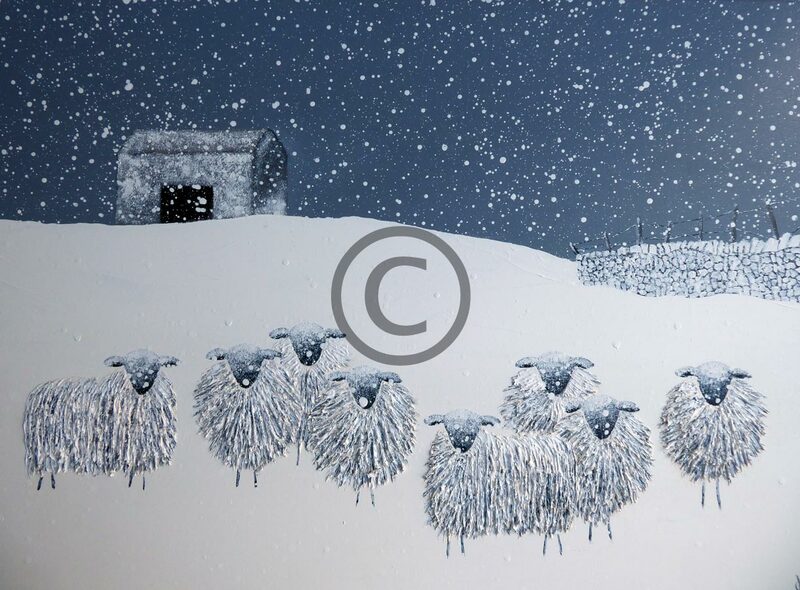 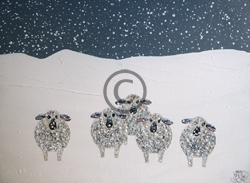 In my work I use paint to create texture of the depth of fleece found in many breeds of sheep, whilst the simplicity of a predominantly white background emphasises the loneliness of the winter landscape we once knew. The images shown are all in stock, the paintings are acrylic on box canvas, orginal (not prints) and ready to hang. 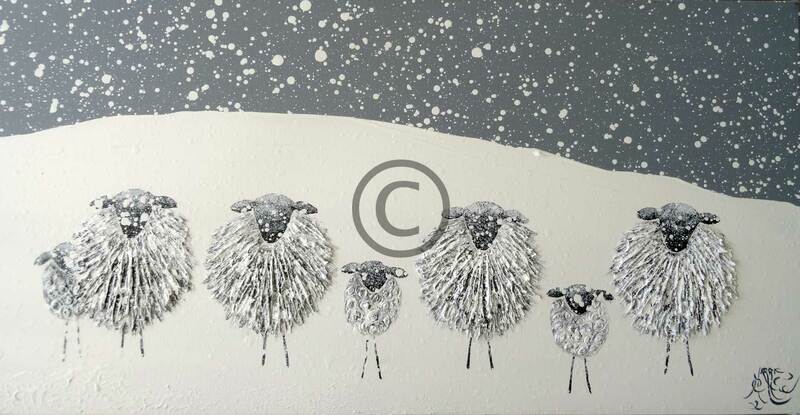 Postage in the UK is FREE. 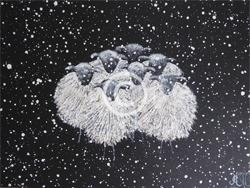 Please contact me first for any other destinations, for more information click here. Please note that Christina Harris has no links to The Smithy Kettlewell and purchase of any Christina Harris work from the Smithy will be illegal. 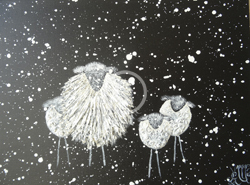 Thank you for visiting my site, I do hope you like my work. 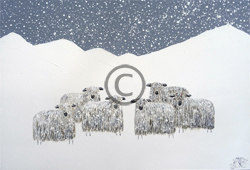 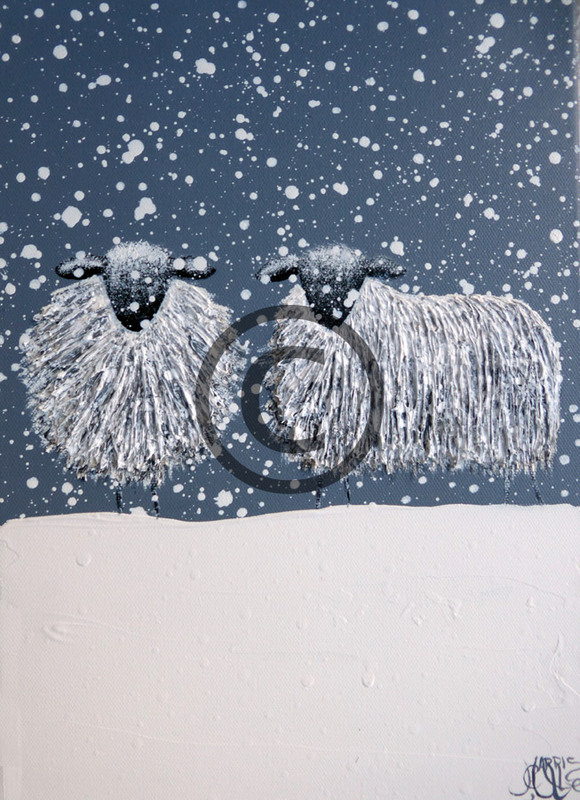 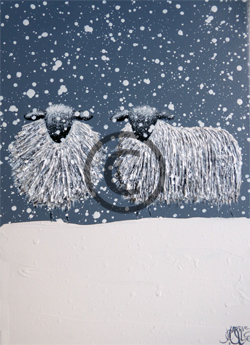 All paintings are despatched on a Tuesday for next day delivery.